precised, slim but strong design. 2.Seamless stitching:With our special connector design it is easy to reduce gaps while installing,creating a perfect display. 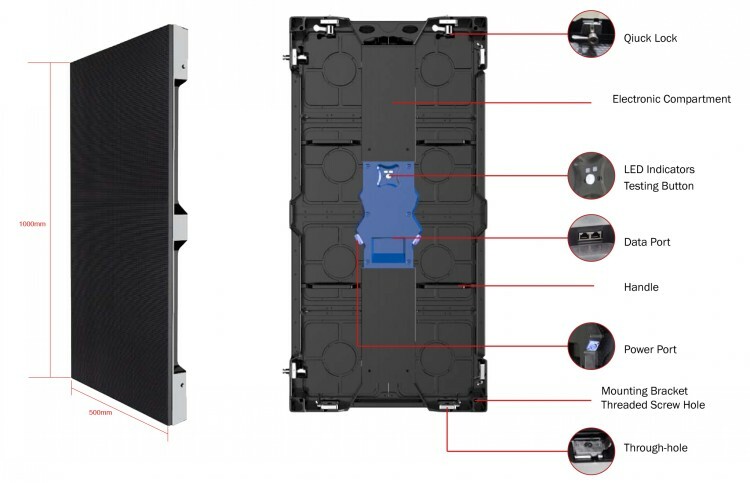 3.With pixel pitch from 5.9mm to 6.9mm,it can be used for both HD video and work as the back ground video wall for events. 4.Panel with size 500 x1000mm is rapid and easy to be assembled and dissembled,saving your labor and cost.